In the latest Jollibees’s Burger Steak commercial Anne Curtis savors her favorite beefy-saucy rice meal without much awareness of people around her. 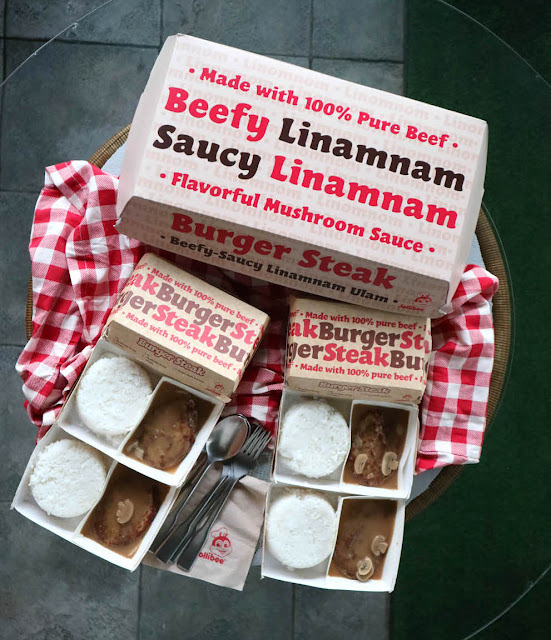 Made with 100% beef patty and seasoned to fit the Pinoy palate covered in flavorful mushroom gravy topped with mushroom slices together with a steaming serving of white rice, that will make you say “Linomnommm”. Jollibee Marketing Director for Core Products, Mari Aldecoa encourages everyone to sample this “Beefy-Saucy Linamnam Ulam” Classic Burger Steak for dine-in, delivery, takeout and drive-thru transactions for only Php 50 (1 piece). Prices varies per branch. Follow their social media accounts for more information.